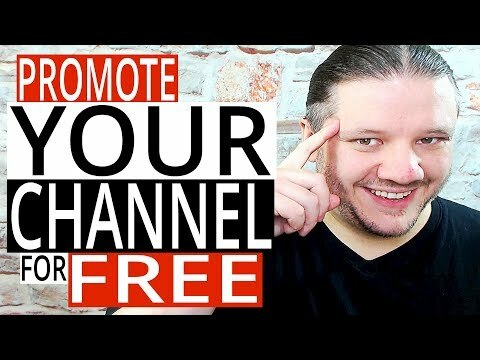 How To Promote Your YouTube Channel for FREE // How To Grow Your YouTube Channel for FREE! You don’t have to spend money to grow your channel. You can promote and advertise your YouTube channel for free by simple sharing and communicating with your viewers. 1 — SOLID SEO — Make sure you have a interesting and searchable title. Go for a solid keyword. 2 — SHARE VIDEOS TO SOCIAL MEDIA — Twitter, facebook, Reddit, Instagram, Trinding and many more places. They are FREE and they have groups to share your videos! 3 — COMMENT ON OTHER PEOPLES VIDEOS AND LIVE STREAMS — Do not spam! Be part of the conversations and ask interesting questions. 4 — AMPLIFY YOUR MESSAGE — Guide your existing viewers to watch more videos with end cards, info cards & comments. 5 — COLLAB WITH OTHER YOUTUBERS — It’s a great way to share your audiences or get your face/name on somebody else’s channel.